Here’s a closer look at who has joined the Shping shopper marketing revolution. 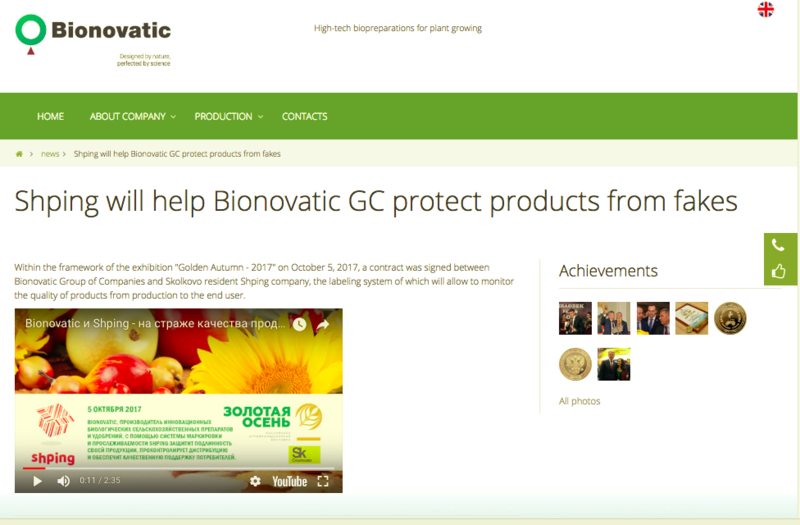 Bionavatic is an agrobiotechnology company that specialises in fertilisers, soil restoration, livestock and agricultural products. A core aim of the business is to develop and implement innovative, safe and economical biotechnologies. In their line of operation, it is essential that products conform with industry standards and regulations outlining quality. Through Shping, Bionavatic will be able to communicate to buyers and provide guidance on how the products can be used safely and also assure buyers that the products they are purchasing are authentic. 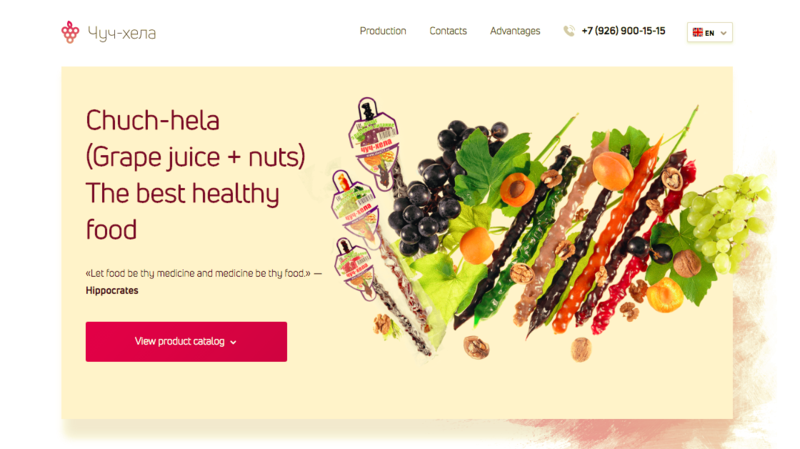 Darsil manufacture and distribute premium sauces from their very own factory in Yegoryevsk. It’s most famous for Kinto—a popular brand of sauces, seasonings and condiments that have become a staple of most households throughout Russia. Darsil also distributes Develey mustards and spices, San Bonsai Asian sauces and the Tabasco brand hot sauce in Russia. The quality and provenance of ingredients that go into the creation of Darsil products is a particular point of pride for the business, which plans to use Shping Marketing to promote their product story and retain their stronghold of the shopping basket. .
Chuch-hela is a 100% natural treat made from concentrated grapes, seeds and nuts, which is said to aid a number of blood and heart ailments, enhance mental activity, reduce fatigue and improve metabolism. As the world’s only manufacturer of chuch-hela, Ideal15 will most likely use Shping as an opportunity to activate shopper curiosity and educate consumers about the benefits of this unique treat. The product’s unusual shape and health claims make this a perfectly Shping-worthy product for those curious to try it! Orthomoda is a Moscow-based company offering health products, ranging from orthopaedic footwear for school children through to adaptive clothes for people with disabilities and musculoskeletal injuries. As Orthomoda aims to provide their customers with leading innovations in health, Shping is sure to be a powerful tool in assessing the validity and trustworthiness of their products. By enabling Shping Marketing, Orthomoda can communicate how its products benefit children and adults with video and illustrative detail. Furthermore, by rewarding consumers who review the products with Shping Coins, it can leverage the vital feedback from customers to help influence and persuade other customers to purchase. Premium gift chocolate, hand-crafted to the meet the highest expectations. This is Confael’s promise to the world. Whether their products are made available in store or online, through the Shping Marketing platform, they will be able to deliver engaging information and videos to customers, elevating their Confael experience in the store and motivating brand loyalty. Whether you are looking to influence a new target market, reward your customers for finding out more about you, letting consumers share reviews of their experience or enabling powerful features to ensure only authentic products are sold, Shping offers a new way to engage with consumers and influence choice at the critical point of purchase and beyond. To learn more about what how the Shping platform can do to help you achieve your communication goals, heading to the Shping Marketing website and sign up for a subscription plan to unlock the power of your barcode.